Of all the saints who have ever helped me along my journey, I have yet to find one who writes as beautifully on the topic of infertility as St. Josemaria Escriva. It’s a beautiful quote. I’ve seen it before. And I love it, I really do. You could meditate for hours on it and still not really reach the end of it. But this isn’t the only thing he’s ever said on the subject. “Often God does not give children because He is asking them for something more. …. There is, then, no reason for feeling they are failures ….. Marriage is holy, in and of itself. Even if God doesn’t give you children. As Catholics, we often think that we are failures if our families don’t include many children, running around and singing in matching outfits on an Austrian hillside. That not having several children means that we are less loved by God. That our marriage is worthless. But that’s a lie. God has a plan for marriage—and he even has a plan for YOUR marriage, in particular. And the particular number of children he gives you (even if it is zero) is not what’s important. What matters is your daily living of your marriage vows— your daily “I do” to your spouse and to God. Marriage is a vocation, a call from God, and “the vocation to love is in fact a vocation to the gift of self, and this is a possibility that no physical condition can prevent.” (That’s Pope B-16 for the win, by the way). Marriage is a path to holiness. And guess what? Everyone’s path is going to be unique. This is the message that I’ve felt in my heart for a while now (ever since we felt God asking us to set aside our adoption plans), but finally they come out of the mouth of a Saint. If I had read these words two years ago, I would have hated them. I would have felt my chest and shoulders tightening up and my eyes getting blurry. I would have thrown my computer. I’ve done that before. I was so wounded and full of grief that I couldn’t have recognized the Lord even if he stood in front of me. I’m still wounded. I still have grief. But it’s different now. I’ve learned that I’m not bound to procure children at any cost. If God’s plan means I’m not going to be a mother, it’s ok, because it’s not about here – it’s about heaven. There is no human certainty in it. There never is. Jesus isn’t asking you or me to reach a point where we feel safe and sure, and THEN pick up our cross. It can’t work that way – it doesn’t make sense. Instead, Jesus is saying, “Take up your cross and follow me.” He wants us to trust him. He’s not going to give us the details in advance. Maybe because it would make things too easy. Or maybe it’s the opposite. Maybe if he let us see all of the pain up ahead before we’ve built up the soul-muscles to handle it, we’d quit before we even tried. At the end of the day maybe faith is about learning to embrace the cross in the midst of all the uncertainty and instability and specters of hope. Maybe it’s about learning what “hope” truly means, and discovering that as much as we desperately want “x”, there is a wound in our souls even deeper, that requires something even more, that Jesus alone can satisfy. And that’s where our certainty comes from, isn’t it? 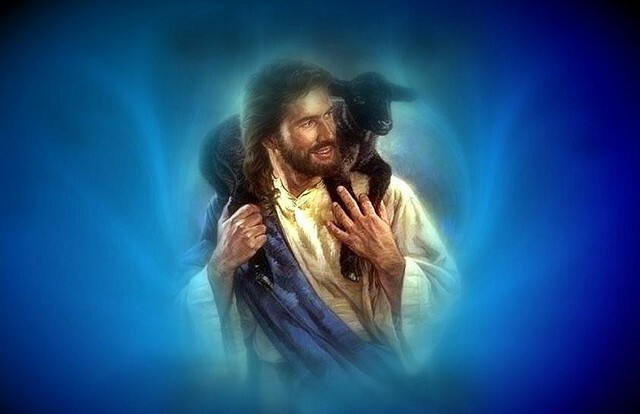 That’s where our assurance lies: in Christ, who loves us deeply, knows us intimately, and is always at our side. What a week in the world of Catholic women’s blogging. On the one hand, we have this awesome article from Haley Stewart at Carrots for Michaelmas, Things You Don’t Have to Do to Be a Holy Catholic Woman. Brilliant piece, and remarkably, one that an infertile female like myself doesn’t feel excluded by. I’m very happy that someone took the “wear skirts and homeschool your 10 kids or else you’re going to hell” people to task. I expected better from Catholic Answers. Being a stay at home mom is a beautiful vocation, and there are many good articles about that. This was not one of them. Denying that women can find fulfillment in work, denying that many women are called to other or additional vocations beyond motherhood is not Catholic, not true, and not very nice. Defending your vocation by putting down others is NOT acceptable. Excuse me? “Boring jobs”- God called me to a wonderful vocation of being a wife–and a writer. And a singer. And a composer. And other things yet to be discovered. Almost every female saint contradicts what this author says. St. Zelie had kids AND her own business- and one of her kids is St. Therese!! 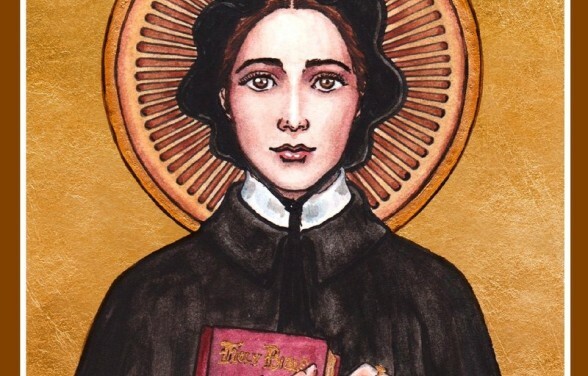 St. Elizabeth Ann Seton had children, and she founded a school.St. Theresa of Avila was a brilliant scholar. St. Catherine of Siena was a powerhouse of thought. St. Mother Theresa, enough said. Sts. Agnes, Cecilia, Gemma, Therese, Mary Magdalene– none of these women were stay at home moms, and yet all of them faithfully followed a vocation given to them by God. What is the virtue humility, and what does it mean to be humble? I did a little Googling on this last week and found these awesome videos from Gabriel Castillo. This guy is definitely intense, but WOW, what a teacher. Each of his videos are like a 30 minute retreat. The truth about who you are. The truth about who God is. That’s it, that’s what it is. If you want to know more, you’ll have to see this video. Part 1 is about humility, and part 2 is about listening and following God’s will in your life. Once you see this, there’s no turning back. Ready for your life to change? Check out the video. Paul, meet Connie. Connie, meet Paul. So, I recently started talking to St. Paul. Well, St. Paul woke him up. On day 6 there was another mention from the Creative Director about hoping to hook me up with some writing in the near future, and an apology that he’s been overly busy lately. Clearly, it is on his mind. Now I’m waiting. Still praying, still hoping, still waiting. But there is hope, and that is a wonderful thing. Honestly, I don’t even know if a writing position at this company is the answer. Maybe this nod from the creative director is just meant to give me a little encouragement as I continue to seek meaningful work as a writer. The path is still foggy up ahead. All I can do is keep putting one foot in front of the other, and keep praying that the fog clears soon. To keep the hope going, I’m looking for prayer stories. When has God given you a clear answer to your prayer? How did you hear his voice? Where did it lead? Do you have a favorite go-to prayer when you really need guidance? “Which Saint are you going to choose for your Confirmation?” It’s a question I heard about as frequently as “What are you going to be when you grow up?” The dreaming, the imagining and the pressure was pretty much the same for both questions. I always thought I would choose St. Elizabeth Ann Seton. Elizabeth is a pretty name, I thought. And living in Maryland, I remember the time my parents took me to Emmitsburg to see her shrine. 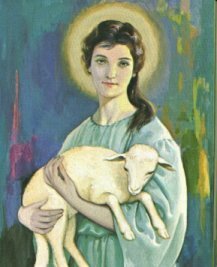 St. Agnes was a favorite of mine as well. Patron saint of girls? I’m a girl, so that’s cool. She was always a favorite. The martyrs are all inspiring. That’s it! That’s the one! There’s an adventure story if you ever heard one. 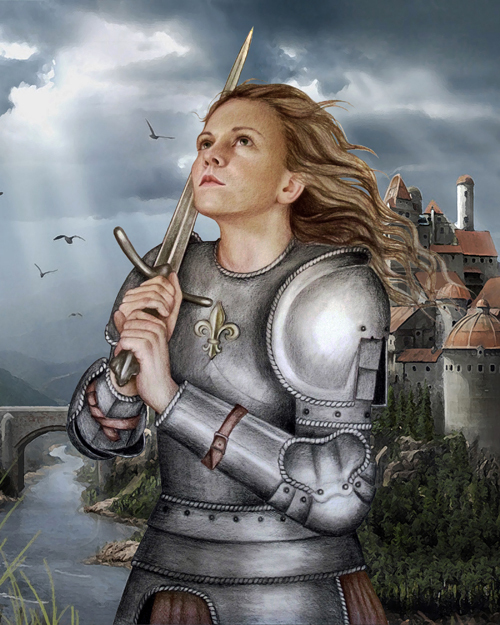 God told her to put on men’s clothes and lead the French army to victory, which ultimately led to a martyr’s death by burning, all the while fixing her eyes on the crucifix and calling out the name of Jesus. I always had a sense that someday there would be some sort of revolution or underground movement, or that Christianity would go underground (like the early days), and I would be heavily involved as a leader. More childish nonsense, perhaps. 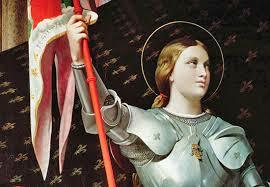 But it lasted the whole of my childhood, and St. Joan of Arc fit that narrative. Did I imitate this saint’s path to holiness, like my religion teacher said I should? Looking back at the last few decades, I might not be much of an underground leader, but I’ve definitely gone against the grain. I still love that I chose St. Joan of Arc because her attitude of “who cares what society thinks” has been a big inspiration for me. Maybe the Holy Spirit was guiding me there, knowing that I would soon face a lot of things that would set me apart. As much as I love her, I’m ashamed to say I don’t ask her intercession nearly as often as I should. I’m trying to get better at that so she’ll know me when we meet in heaven. Who did you pick for your Confirmation saint, and why? Are you still happy with your choice? Do you talk to them much?